In November 2012, the National Association of Pension Funds published a document: “Pension Charges Made Clear: Joint Industry Code of Conduct” in association with a number of industry trade bodies: the Association of British Insurers, the Investment Management Association and the Society of Pension Consultants. The NAPF’s laudable purpose was to provide a clear, understandable and transparent framework for the purpose of passing on information to purchasing employers looking to set up or transfer a defined contribution pension platform and, in particular, to use a common template to permit comparison between providers. Their paper outlines a voluntary Code of Conduct which will go live at the beginning of 2013 and we recommend that employers and/or trustees do make use of this framework, though we are also of the view that it could very usefully be extended to add more useful purchasing and governance information. The Code’s requirements are three-fold: i) that “all charges are clearly and accurately stated in writing” to the employer before the purchasing choice is made; ii) a “standard template summarising services to be provided” is used and iii) provision of “clear examples of the effect of charges” on pension pots is provided. The document then goes on to provide templated summaries of the three formats required in order to be in compliance with the Code. Each is of individual interest and, taken in combination, form a significantly improved battery of information – crucially in a common format – that ought to be offered to purchasing employers. We would go so far as to recommend that the provision of this analysis from each provider should form one part of the employer’s balanced scorecard in the due diligence process and, if a provider is unable or unwilling to comply with the voluntary Code, this requirement should be pressed by the employer. What do we believe could be enhanced? (the latter applying only to the default fund on the platform offering). We believe that the reporting should be unfolded further to form a clear differentiation between i) platform fees for the administration of pension wrapper services, ii) fund management annual management fee and (if any) performance fees for the funds, iii) administration, custody and secretarial fees of the funds and iv) fund-level expected transaction expenses. This should be provided for each of the primary funds on the platform where it is expected that members are likely to invest. We believe that this additional transparency is necessary in order to differentiate the allocation of costs at differing points in the supply chain and to form a clear distinction between the provision of platform services and investment management and administration services. This would more easily permit employers to follow where expenses are going and to compare different service level provisions which may also have different fund configurations. 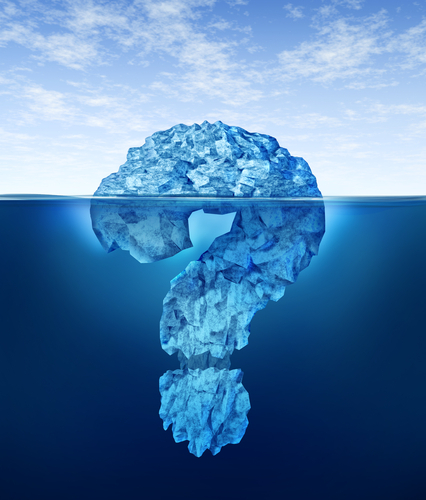 Finally, the Iceberg Question-Mark Graphic? Icebergs are notorious for the fact that a vast majority of their mass – and therefore, danger – lies in the volume submerged below the waterline, and which is therefore invisible. In the late 1980s, Plexus Group : now part of Investment Technology Group – were one of the early providers of transaction cost analysis services to sophisticated investors in respect of the service received from stockbrokers and investment banks. Plexus used an iceberg graphic to highlight the fact that the contribution to cost of fees paid to buy and sell securities was often dwarfed by additional transaction expenses: taxes, bid-offer spreads, moving the market and additional price moves during an extended execution period. A clear parallel exists here: that the direct annual management charge earned by the pensions investment manager is generally only one cost component: external administration/custody, taxation and transaction costs are also factors. Our use of the graphic is therefore a respectful acknowledgement of Plexus’ pioneering work in the area of transaction cost analysis and our belief that similar models of cost decomposition should be adopted more widely. As a brief aside, in the defined benefit wholesale investment space, we would expect that any speciality transition manager and most large asset managers ought to routinely provide a full transaction cost analysis in respect of transition work in moving from one manager to another. We would be delighted to help pension scheme clients request and analysis such information, if required.